At this year’s dazzling Abu Dhabi Film Festival, the celebrity buzz has been deafening. 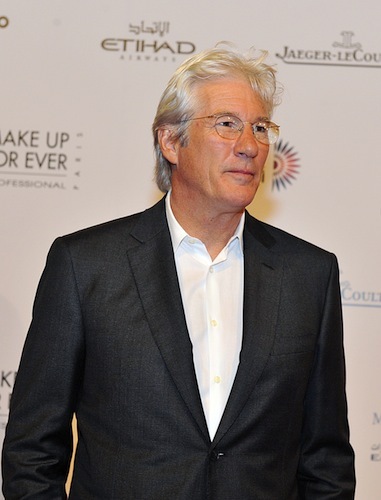 After all, it would be An Officer and a Gentleman himself Richard Gere walking the red carpet on opening night, for the film Arbitrage, which is now playing throughout the Middle East. The festival has done things grand and it felt otherworldly to walk alongside the celebrities on a path that took this movie lover right under the spotlights, cameras and microphones and then threw me in the midst of all the excitement — from beginning (the film’s screening inside the Emirates Palace theater) to end (a dazzling party by the sea where even silver sequins felt underdressed). Yet for yours truly, the highlight of the evening and the following press day for the film, would be the wisdom I learned watching the classy Gere in action, surrounded by a media frenzy and yet completely at ease among the welcoming atmosphere created by his Gulf fans. Gere in Abu Dhabi embodied a magnetic spokesperson for elegance and culture, and turned out to be a great ambassador for the West in the region. For Gere’s wisdom, check out the full piece in the Huffington Post. N-joy! This entry was posted on Wednesday, October 17th, 2012 at 9:15 am and is filed under Man's Opinion, Modern Fairy tale, Woman About Town.